Hip replacement surgery preparations. Close-up of the leg of a patient being prepared for surgery to replace the hip joint. 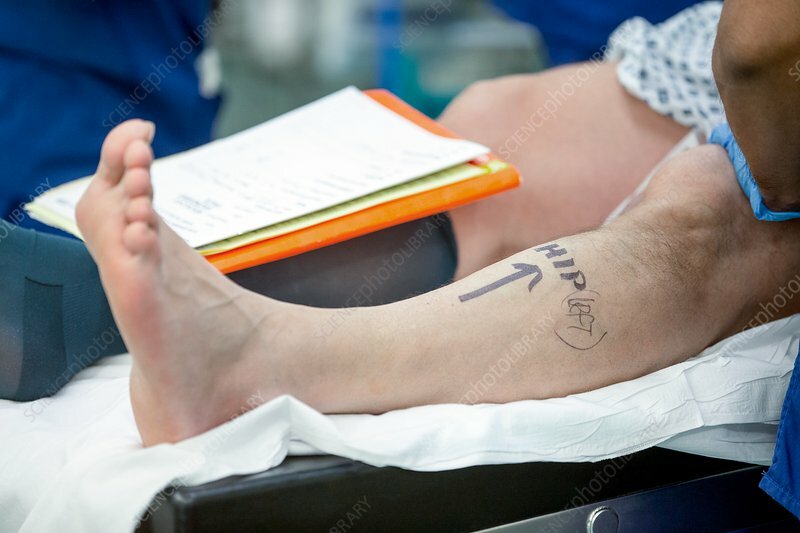 The leg is marked to ensure that the correct joint is operated on. Photographed in the UK.